A Detailed Quote for Software Integration work can have some technical parts, only because everything is technical. We do use plain english when we can in our quotation to explain more easily. This is a free service for you as our Partner. Prerequisite – This is the must have requirements for the project to start, and are usually information required from your Client. Depending on the project, it can be login credentials, server credentials, FTP credentials, and API credentials etc. Input – Zawro will list what’s coming into the system. Inputs can be files such as price list, sku, and any of the prerequisites. Process – Zawro will list the process of what will happen. This is the step by step procedure of what the project will do. Output – This is the outcome of the project. 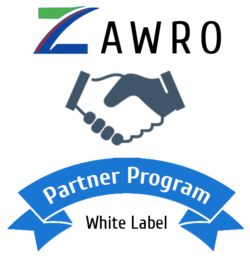 Once you’re happy with the detailed quote, you can sign the agreement electronically, and Zawro will start the work. Remember, Zawro guarantees that the job will be completed successfully, and within budget, so you don’t pay until this is done.